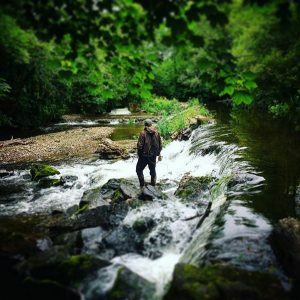 If you’re looking for a new spot to try some country sports while also indulging in some culinary ones, then the Devon side of Exmoor is the place to come this year. We’re perfectly located to provide breaks that appeal to those who enjoy wildlife-stalking, clay pigeon shooting and fly fishing, while also experiencing some of our award-winning pub grub too. There are lots of outdoor pursuits to enjoy here in the heart of Devon. You can take part in clay pigeon shoots, red deer safaris and deer stalking trips, as well as a whole host of other activities. We’re the perfect base for those looking for a weekend or mid-week break exploring the Devon side of Exmoor. But it’s not just about the great outdoors, we provide luxury accommodation and award-winning, seasonal food for those wishing to escape the stresses and strains of everyday urban life and to unwind in a truly idyllic, country location with stunning scenery all year round. You can go for lovely long walks, gaze at the stars in the evenings, as we’re near Exmoor, which is one of the few areas where there is very little light pollution in the UK or just sit still and enjoy the gorgeous views. Take some time out to breathe in the fresh, country air or go up into the National Park and fill your lungs with some of the purest air going. We also have a log burning fire in our bar for warming your toes in the autumn, winter and early spring months.